Owned and opened by jim and Geoffrey Ali in the1970s. 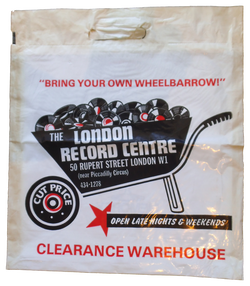 (March 20, 2015) I remember going in here in about 1986 and finding stacks of ex-stock Trojan LPs - 'Trojan Reggae Party', Greyhound's 'Black and White', and 'Bruce Ruffin's 'Rain' were a few titles I remember. No really collectable titles that I recall, but very unusual to find this type of record in these quantities even back then. Comment: Mark Griffiths.